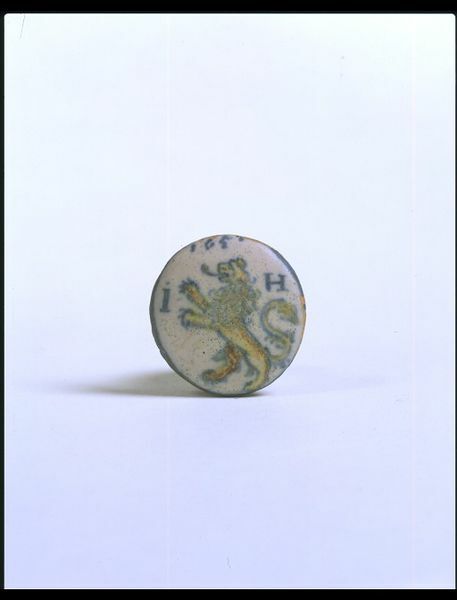 Livery button of tin-glazed earthenware, a pierced hemispherical boss on the back. 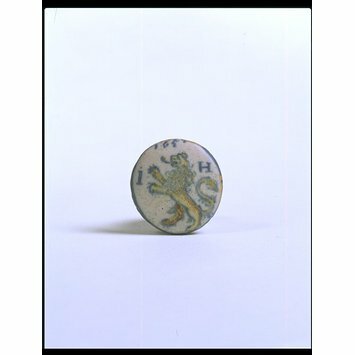 The front is painted with a lion rampant in yellow, ochre and blue flanked by the letters 'i H' with the date 1651 (the last number is indistinct) in blue. The edge and much of the back is painted blue. 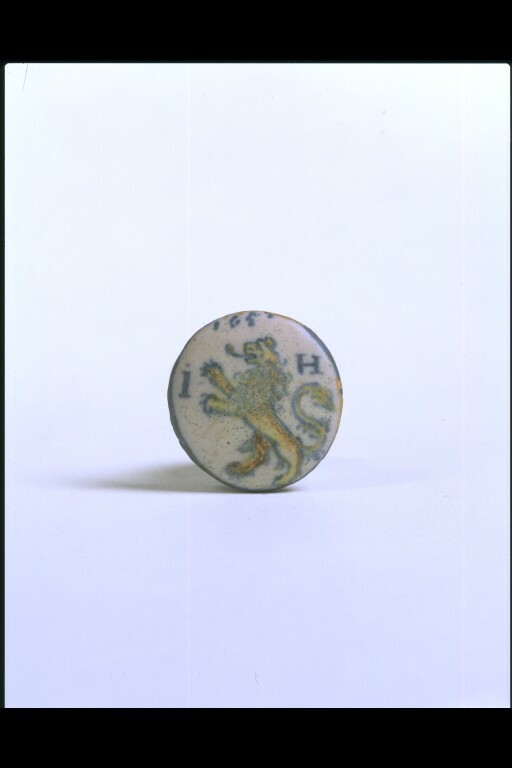 The body colour is reddish buff, the glaze white with fine grey specks. London, Stoner & Evans, 1933. Lipski and Archer, No: 1773.